What better way to celebrate the Equinox and the Full Moon than a nice moonlit drive to a ghost town? Hauntingly beautiful both during the day and at night, Bodie California was once the second biggest city in all of California. More than 8,000 feet above sea level high in the Sierra Nevada mountain range, Bodie’s long winters keep visitors away many months of the year. 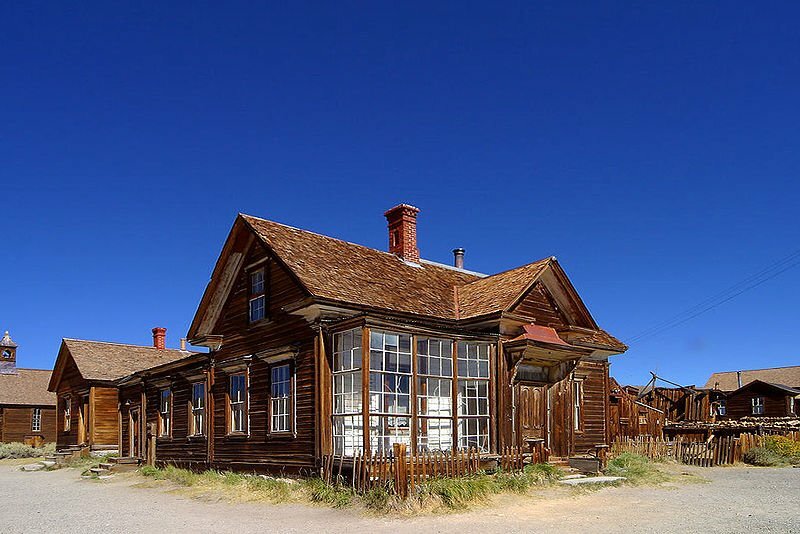 But if you want to enjoy the first dusting of snow or the true crispness of Autumn, why not take a weekend jaunt to visit the ghosts of Bodie? Phantom music, hammering and banging on doors and windows, a ghost who once pushed a visitors down a set of stairs…these are but a few of the frightening delights that await the daring explorer. This entry was tagged equinox, full moon, ghost town, ghosts, paranormal, phantom, Sierra Nevada. Bookmark the permalink. just goes to show you about how to scare a bear away—-”the gourd is mightier than the sword”——i enjoy your informative stories—lucky you –folklore is really part truth and part fiction…and the rest —the hidden shadows of life exposed. thank you for some smile and goose bumps.